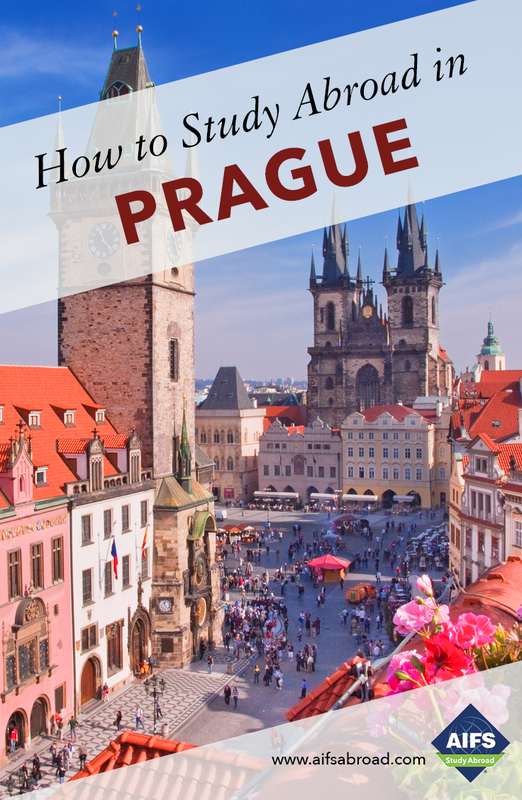 Included in your program fee are a range of activities which will take you outside Prague and deepen your social, historical and cultural understanding of the Czech Republic. Moravia is the eastern region of the Czech Republic famous for its wine and beautiful scenery. Life is more slow-paced than in Prague and people are renowned for their friendliness. Travel from Prague by bus to various locations in Moravia. The first stop is a local inhabited cloister in the small town of Tišnov. Then you will stop at Slavkov (Austerlitz), where Napoleon fought one of his most important battles and was victorious over the Austrians and Russians in 1805. En-route to the wine-cellar, you will stop in the small village of Krtiny to visit one of the most beautiful baroque churches in Europe known as “The Pearl of Moravia.” Overnight at Vinný sklep U Vrb&uring;—a family run wine cellar in Hustopeče with dinner included. The following day, continue to Brno, the beautiful capital of Moravia. In Brno you will visit Gregor Mendel's Garden and museum where Mendel grew his famous, yellow wrinkled peas and discovered the foundations of genetics. Then you will have a short tour of the city center and time for lunch. In the afternoon explore the Moravian Karst, the most beautiful complex of underground caves in Central Europe by foot and by boat before returning to Prague. Includes accommodations, breakfast, a dinner, travel, selected entrance fees and sightseeing. Begin your semester with a 2-night visit to London en-route to Prague. Take a sightseeing tour with a professional guide who will point out some of London’s most famous landmarks including Buckingham Palace, Westminster Abbey, the Houses of Parliament and the Tower of London. Spend time exploring the city on your own and take in the gorgeous parks and gardens, see a play in the West End or shop for vintage clothes at Camden Market. Kraków is located in the south of Poland and it is one of the great Central European cities. A city of culture, a city of kings and a city of learning. Its beautiful main square is one of the largest medieval squares in Europe. The castle at Wawel Hill has been there for more than 1,000 years and is considered by many Poles to be the home of the nation. However, contemporary Kraków is also a very young city with a large student population and a vibrant nightlife. Travel will be by bus and you will begin the tour with a visit to the Martyrdom Museum in Auschwitz-Birkenau, the infamous Nazi Concentration Camp of WWII, preserved as a memorial to the 1.5 million people of 28 nationalities who perished there. Afterwards you will head into town and see part of the historical center, a UNESCO World Heritage Site. The following day you will discover Kraków with the help of a local guide. This tour will cover the beautiful Market Square, Wawel castle, and the Jewish Quarter, Kazimierz. You will also have the chance to see some of the settings for the movie Schindler’s List and visit the remains of the WWII Jewish Ghetto in the Podgorze district. There will be free time in the evening so you can experience the current atmosphere in Kraków. On the final day you will visit Wieliczka Salt Mine, one of the longest operating salt mines in the world. A highlight is the underground cathedral carved entirely from salt. In the afternoon, you will return to Prague. Fee includes accommodations, breakfast, transportation, sight-seeing, local guide and entrances. Depart Prague for the spa town of Karlovy Vary (Carlsbad) where you can taste water from the ancient spring and visit the famous colonade and viewing tower. This will be followed by a stop at Hotel Pupp, which was used in the film Grand Hotel Budapest, for coffee and cake. Overnight in the beautiful town of Litomerice. On day two, drive to Czech Switzerland on the border with Germany for a day in the national park, known for its untouched natural sandstone formations, gorges and observation towers. You will discover the Tisa rocks labyrinth, which was the setting for the Narnia movies, and visit various viewpoints including Pravcicka Gate, the largest natural rock bridge. There will be an opportunity to hike through this beautiful landscape and take photos before returning to Prague. Fee includes accommodations, breakfast, travel, selected entrance fees and sightseeing. A minimum enrollment of 10 is required for the excursion to run. Straddled by the Danube River, Budapest is undoubtedly one of Europe’s most beautiful and eclectic cities combining Baroque and Art Nouveau architecture with romantic bridges, quirky coffee houses and warehouse bars. Leave Prague by bus in the afternoon, arriving in Bratislava, the capital of Slovakia, in the evening. You will get a brief chance to see the city of many names at night and in the following morning before leaving for Budapest. Once in Budapest, you will have an afternoon guided walking tour of Pest including the famous St. Stephen’s Basilica, the Parliament building and the Jewish Quarter. The evening is topped off by a lovely cruise offering beautiful views of brightly-lit Budapest. The next morning you will explore the opposite side of the river, Buda, where Castle Hill and Fisherman’s Bastion are located. Following a walking tour of the area, you will traverse the iconic Chain Bridge back to the Pest side where you will break for lunch and get a chance to purchase souvenirs. The day is concluded by taking a relaxing bath at Szechenyi Thermal Baths. On the last day, there is an option to visit a farmer’s market before returning by bus to Prague. Fee includes transportation, accommodation, breakfast, a guided city tour, entrances to a traditional bath,and a Danube River cruise. A minimum enrollment of 10 is required for the excursion to run. The grandiose city of Vienna (Wien), with a population of nearly 1.7 million, was the showpiece of the Habsburg Dynasty, which controlled much of Europe for more than 600 years. Today it is one of the most beautiful and romantic capitals in Europe. Vienna has it all - world class museums, impressive architecture, internationally renowned music performances in concert halls and last but not least the specific Viennese charm. On this trip you will be able to visit the famous Vienna Christmas markets. Traveling by bus you will stop for lunch in the beautiful Bohemian town of Telc before arriving in Vienna. The following day you will have a guided tour of the center of Vienna including the Hofburg, Stephansplatz, where Mozart was married and where his funeral was held. For lunch you can visit the famous Naschmarkt and then enjoy some free time to explore on your own and perhaps visit the Freud Museum. On your final day you will visit the famous Hundertwasserhaus and then continue by bus to the Schoenbrunn Summer Palace. There you will be able to visit the castle as well as extensive grounds, including a maze, zoo and nice café where you can eat apple strudel before departing for Prague. Fee includes accommodations, breakfast, travel, entrance fees and sightseeing as indicated. A minimum enrollment of 10 is required for the excursion to run. The beautiful region of Southern Bohemia is home to the town of Cesky Krumlov and the original Budweiser brewery in Ceské Budejovice (Budweis). Salzburg, surrounded by the Austrian Alps is the birthplace of Mozart and the setting for The Sound of Music movie. Traveling by bus, you will journey to the Southern Bohemian town of Ceské Budejovice. There, you can discover how beer is produced while you tour the Budweiser brewery. Then travel onwards to the beautiful town of Cesky Krumlov. You can explore the major sites on a relaxed guided tour and you will have some time on your own to take in the magical atmosphere that the town conveys. You will stay overnight in Ceské Budejovice. In Salzburg as well as a guided tour you can join the Sound of Music tour with a singing expert guide and there will be free time to explore Salzburg on your own. On your final day you will travel to some scenic spots to enjoy the alpine panorama and have a break for lunch before returning to Prague. Fee includes accommodations, breakfast, travel, entrance fees and sightseeing. A minimum enrollment of 10 is required for the excursion to run.